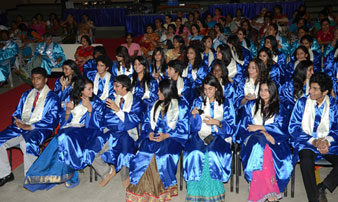 A day of fond reminiscence and teary farewells, the Graduation Day is a day invested with much sentiment and gravity. 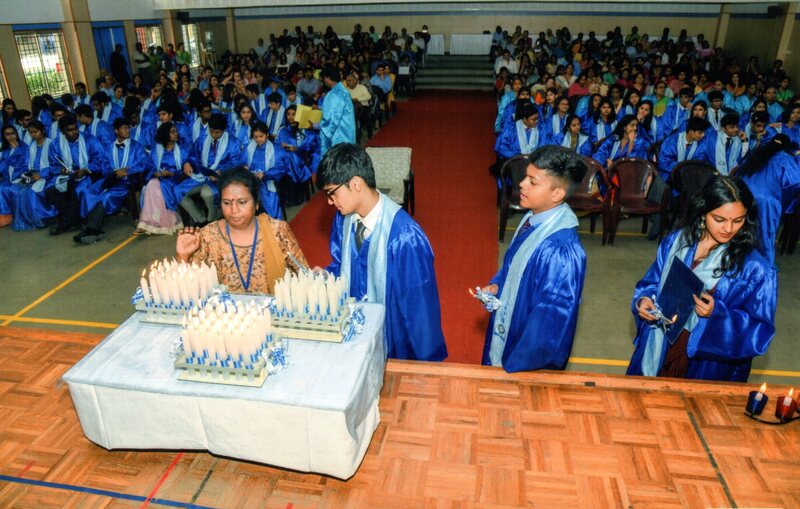 What initially consisted of just a Farewell Assembly has evolved into a full-fledged ceremony replete with an orchestrated entry of the graduating (ISC) class in blue robes, addresses by teachers and students, distribution of mementos by the trustees, and the lighting of candles. 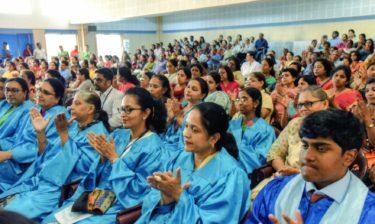 The ceremony, which ends with the singing of the school song, is followed by a grand lunch for the students and teachers. 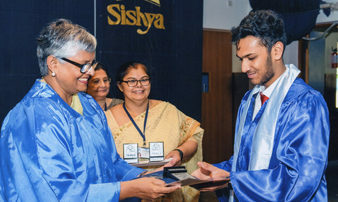 Sishya bade farewell to the ISC Batch of 2018 on the 3rd of April. 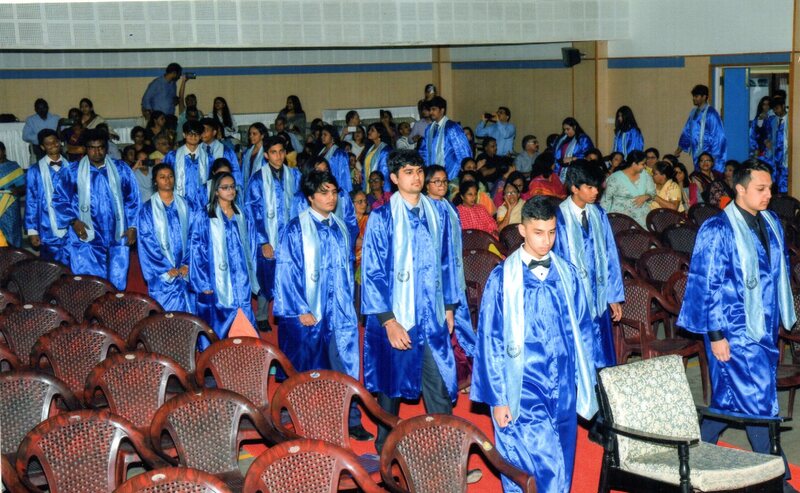 The graduation ceremony began with the students and the teachers of Class 12 entering the hall in procession, wearing robes of blue. 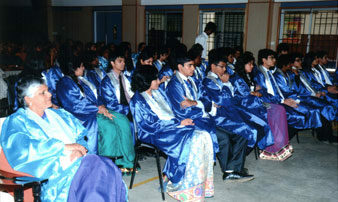 Next the class teachers of the outgoing batch spoke about the students of their class. 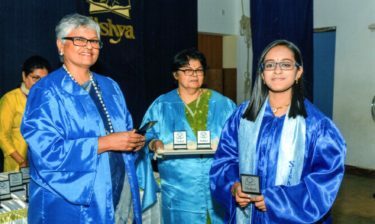 The outgoing Head Boy and Head Girl, Aakash Jajoo and Nidhi Sajit Menon then reminisced about their years in Sishya and also spoke about the teachers who had taught them. 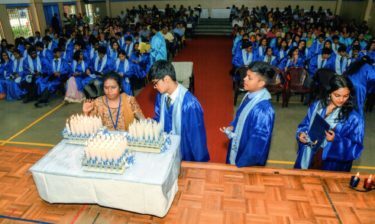 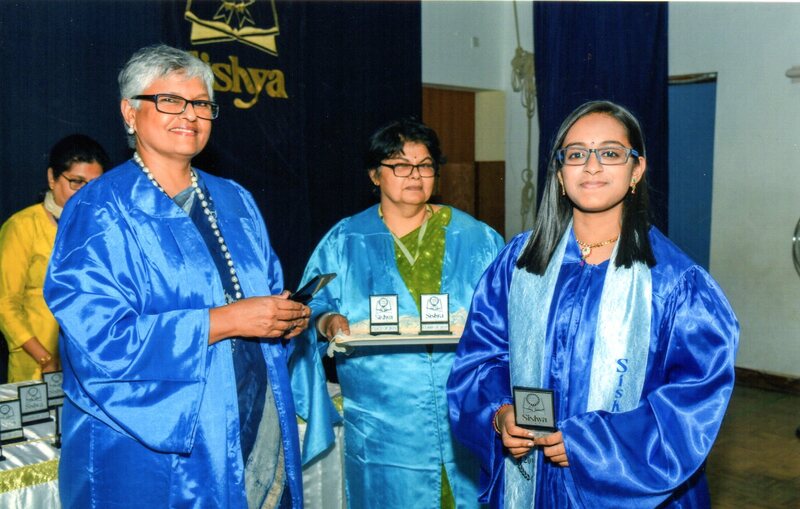 The graduates then received a memento from the Principal, Mrs. Omana Thomas, a scroll from the Class Teacher and a decorated candle which they used, to light another candle which was kept on the stage. 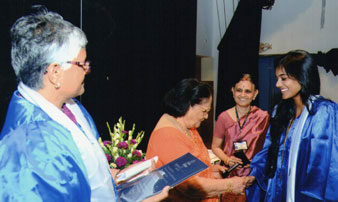 It was a lovely sight indeed. 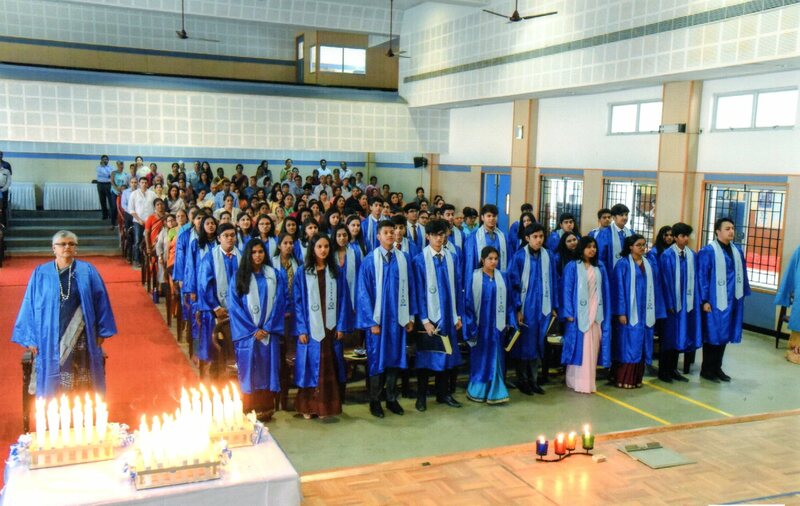 After the school song was sung, the ceremony officially ended but this was followed by a grand lunch for the outgoing students and the teachers. 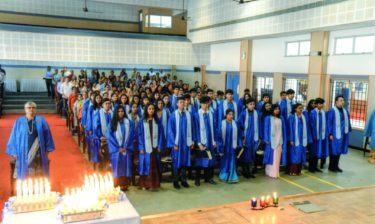 It was a day of nostalgia and remembrances for the students – happy moments to be cherished as they went out to face a different way of life. 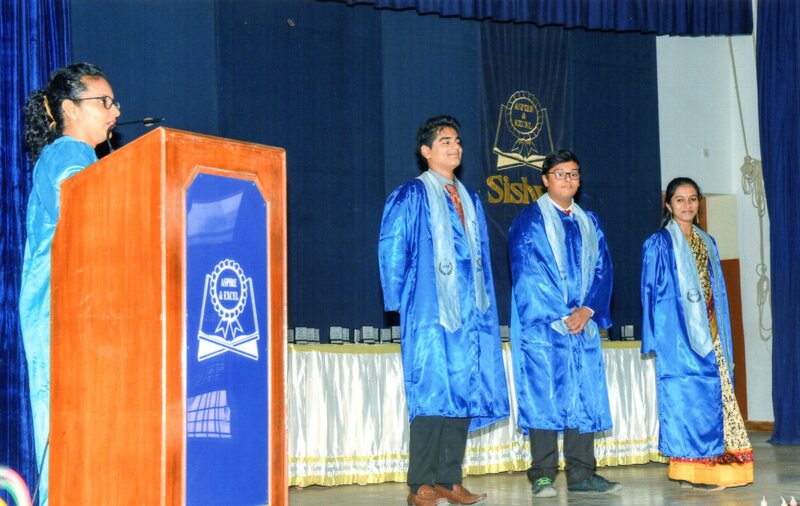 Sishya bade farewell to the ISC Batch of 2017 on the 3rd of April 2018. 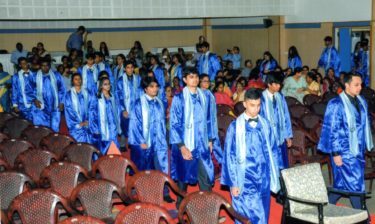 The graduation ceremony began with the students and the teachers of Class 12 entering the hall in procession, wearing robes of blue. 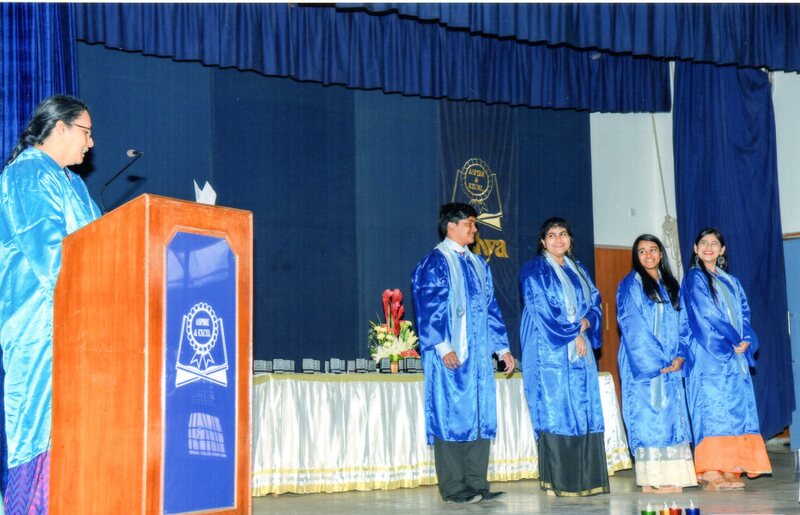 Sishya bade farewell to the ISC Batch of 2016 on the 31st of March. 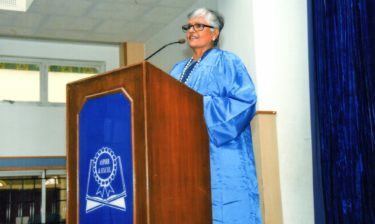 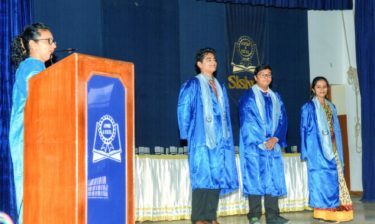 The ceremony was held on the basketball court and it began with the students and teachers of Class 12 entering the hall wearing robes of blue. 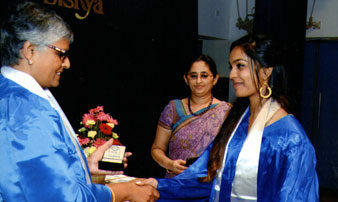 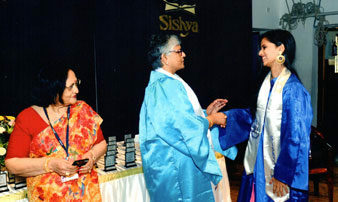 The Sishya graduation ceremony was on the 4th of April. 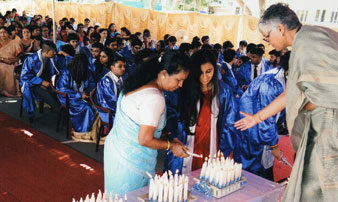 The graduates received a memento from the Trustee of the school, a scroll from the Principal and lit a decorated candle. 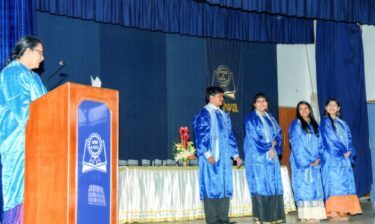 It was a lovely sight indeed. 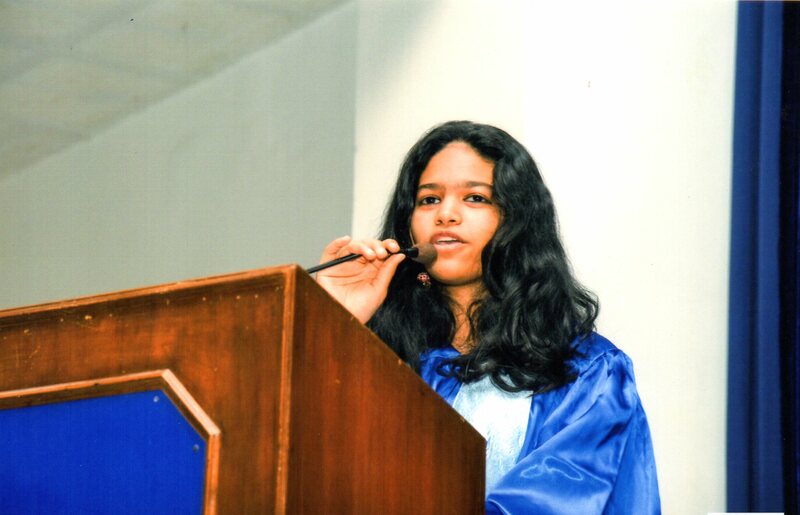 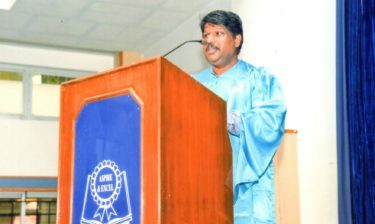 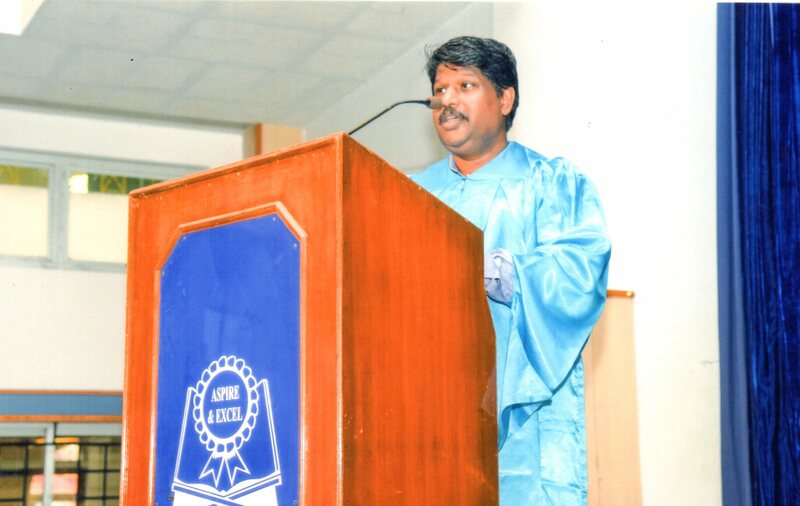 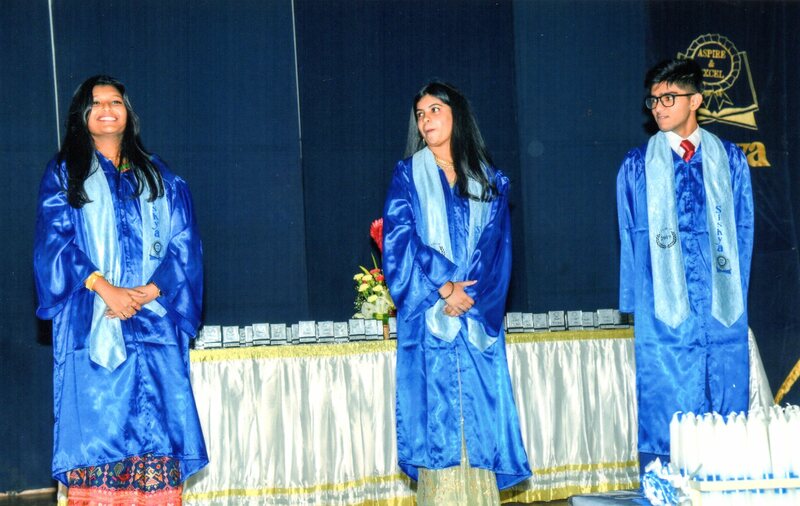 Sishya bade farewell to the ISC Batch of 2013 on the 22nd of March. 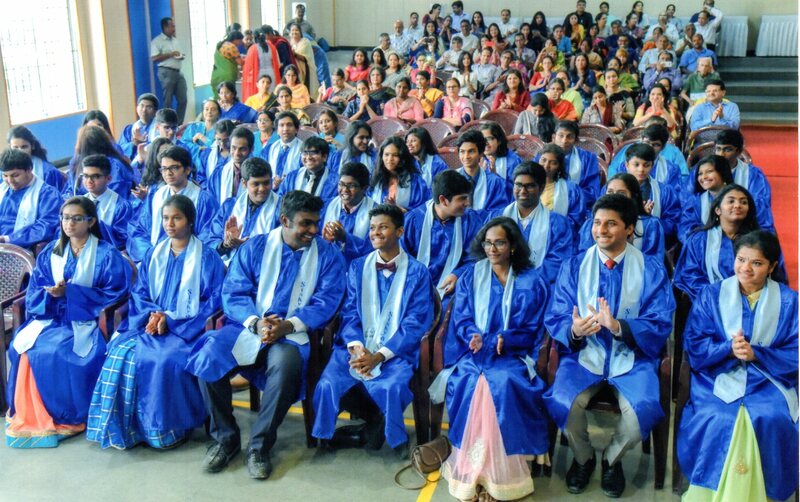 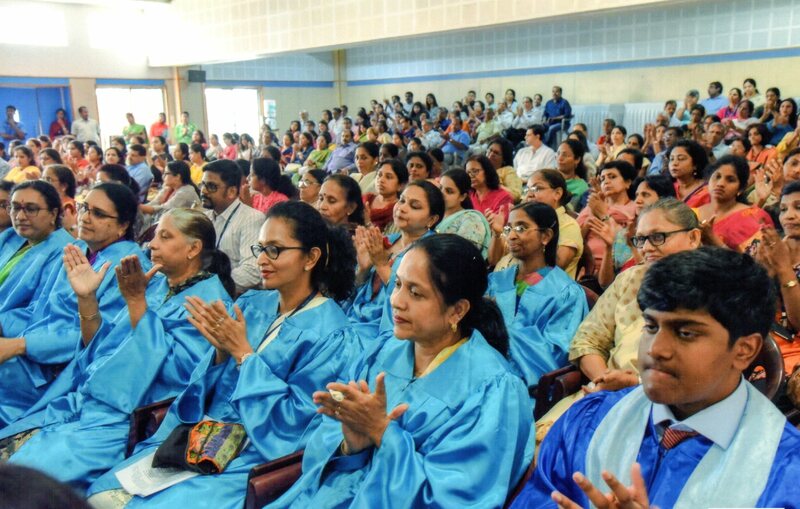 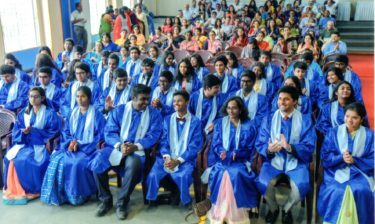 The graduation ceremony has held in the auditorium and a few of the seniors reminisced about their years in Sishya and the teachers who had taught them. 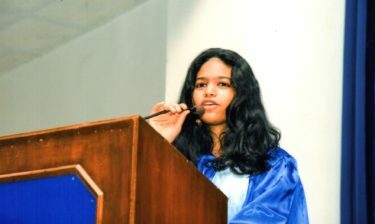 Sishya bade farewell to the ISC Batch of 2012 on the 27th of March, the day after their last Board exam. 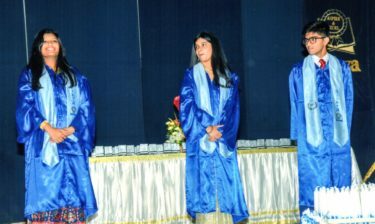 This year it was not just a farewell assembly as it was in the past few years but a graduation ceremony also.